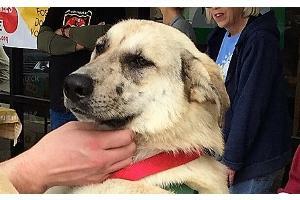 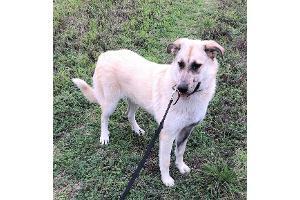 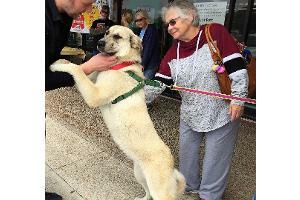 Chica is a young Pyr mix female, probably about 8 months old, who came to us from Uvalde. 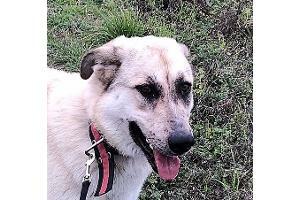 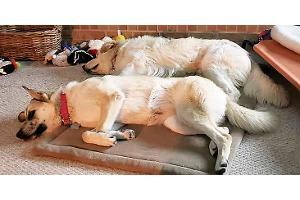 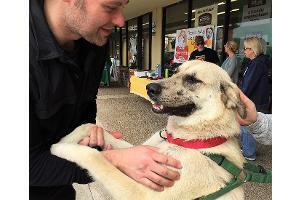 We think she may be part German Shepherd, but she also has the double dew claws of a Great Pyrenees Her rescuer reports that Chica is very friendly and sweet-natured. 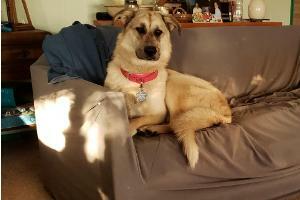 She has a calmness that made her seem older, but the vet tells us she is still under a year old! 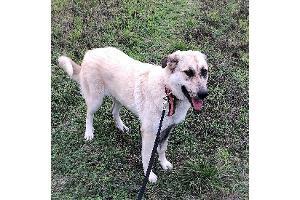 She has just gotten to her TGPR foster on February 9th, so look for more information about her soon.